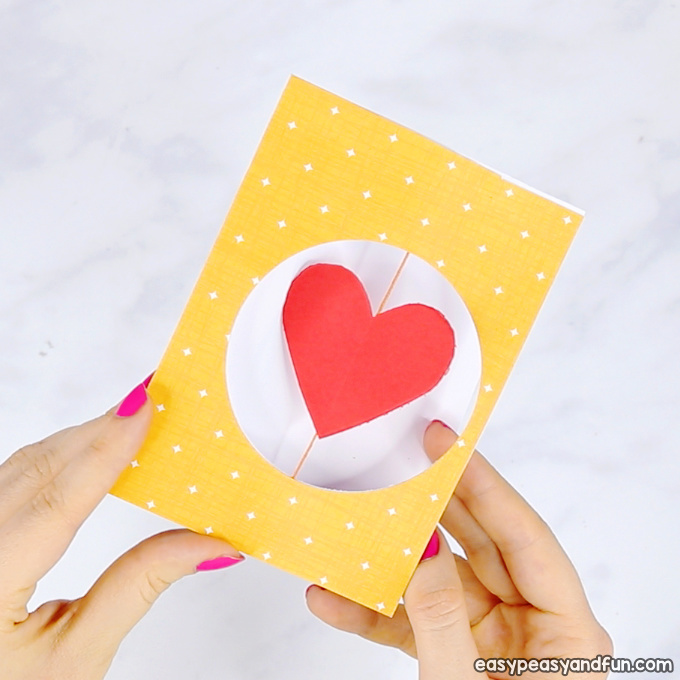 If you need a wow factor (that’s also really easy to make) for your Valentines day card – this simple spinning heart Valentines day card has it all. 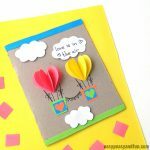 It looks sweet and as the hearts starts spinning when you open the card, it certainly has that wow factor. 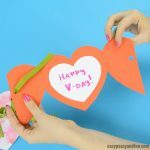 We’ve shared quite a few of Valentines day craft and card ideas, but this one really is something else. 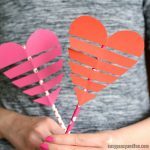 We think Valentines day is a great day to celebrate love, and not just love between two people fond of each other but also bonds between friends – it’s a different kind of love and it’s one that deserves celebrating (especially with younger kids). 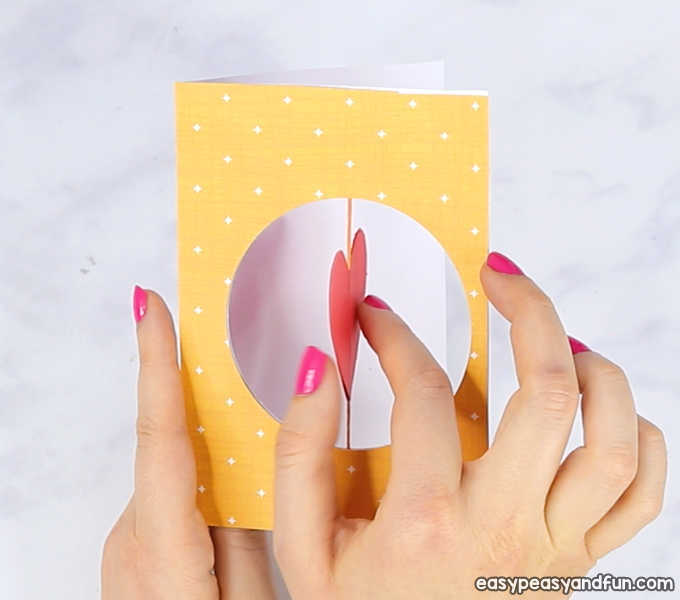 Valentines day cards are a great way to show appreciation, so we do love sharing these card tutorials with you all. 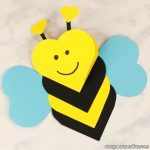 You can make the card base by cutting a sheet of letter sized or A4 sized construction paper in half and then folding that smaller paper in half. 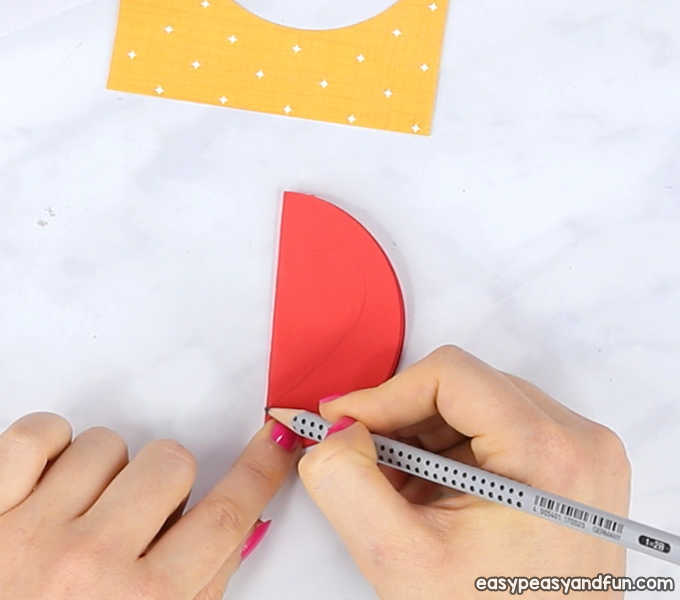 Trace the closed card onto the scrapbook paper. 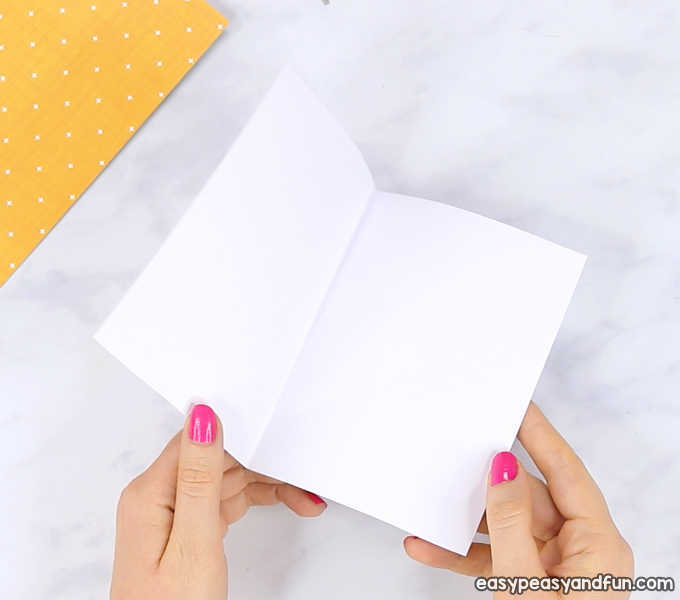 Open up the card and align the scrapbook paper with the right side (do not glue! You can however use a paper clip to hold it in place). 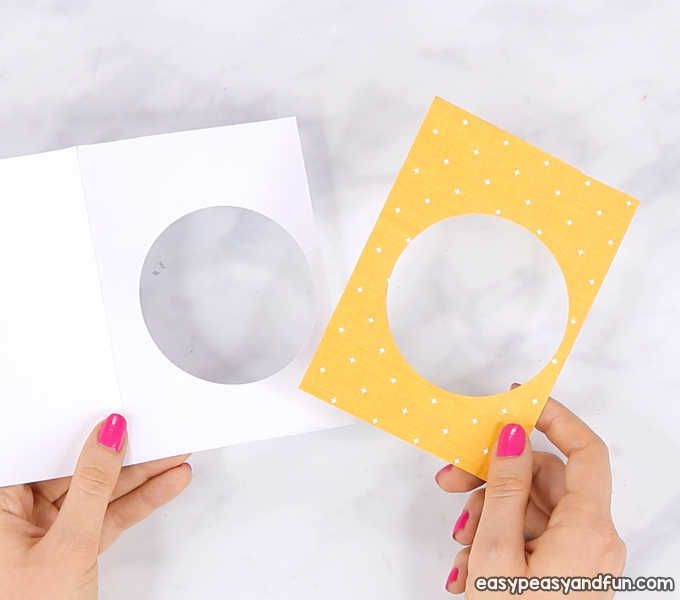 With the hole puncher, punch the hole through both the card and the scapbook paper. This is how your paper should look like. 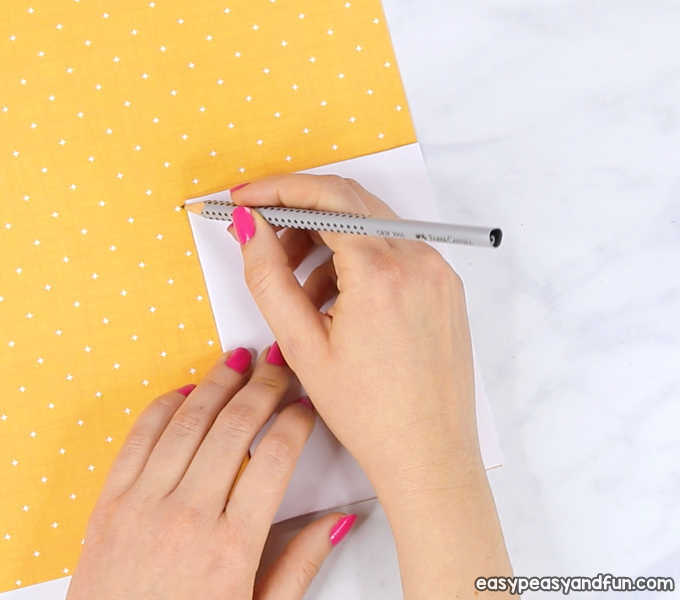 Set the scrapbook paper aside. 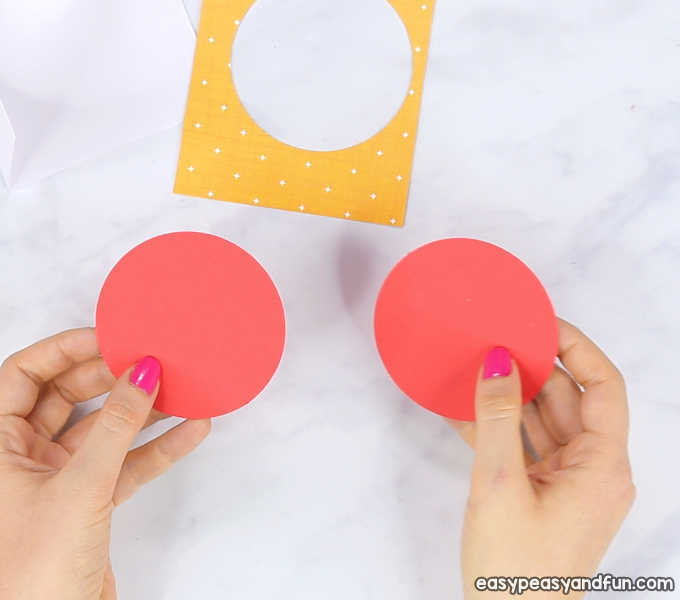 For the perfect sizing, punch two red circles. 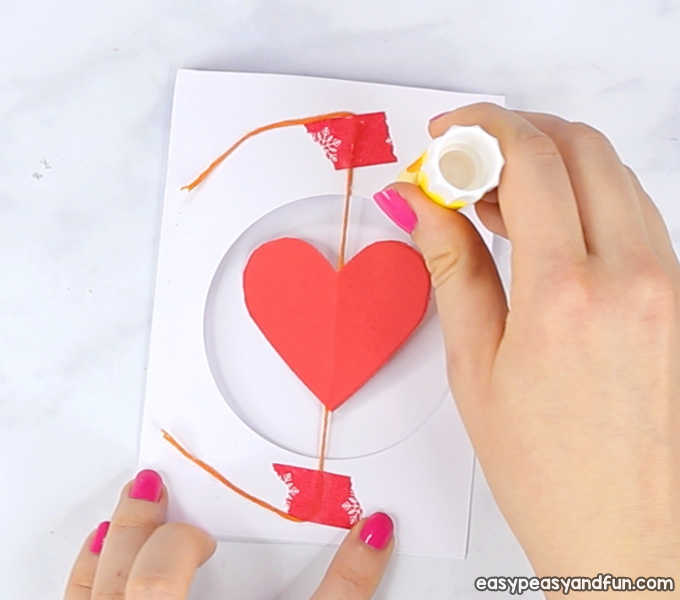 Cut out the 2 hearts. 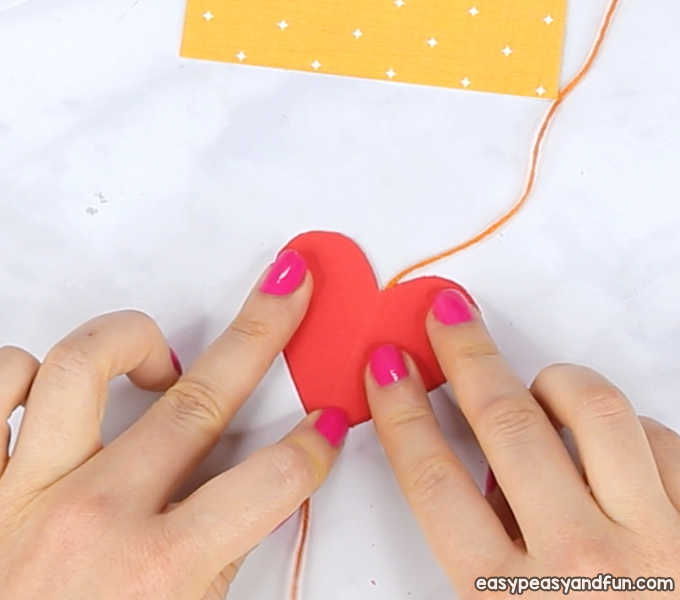 Apply glue on one of the hearts and lay thread on the middle. 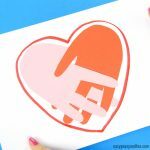 Stick the other heart on top. Wait a little for the glue to set. 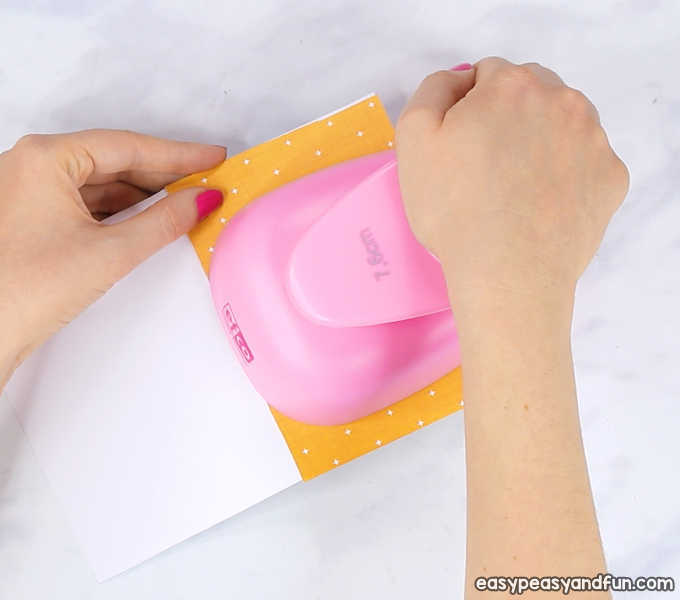 Apply glue across the whole surface of the card. 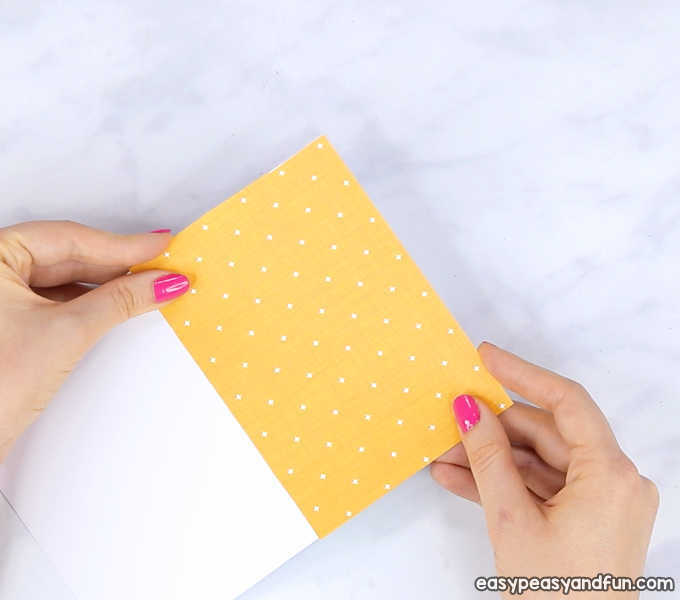 And place the scrapbook paper on top. 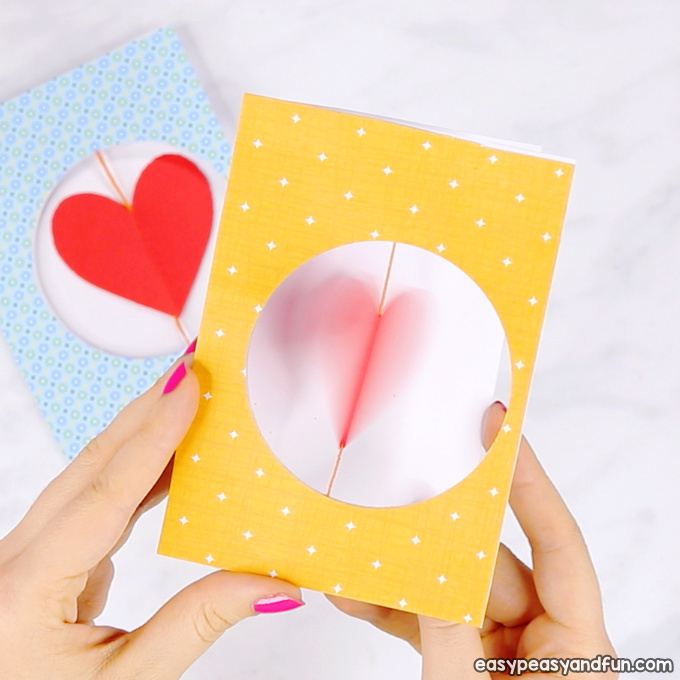 Once dry, open the card and spin the heart a few times (wind the mechanism ;). 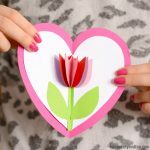 While holding the heart in place, carefully close the card, not letting the heart to spin. 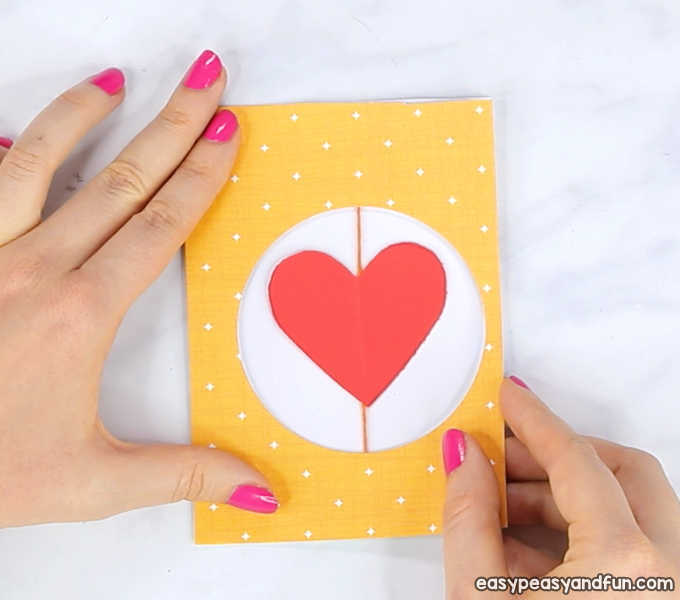 Once the person receiving the card will open it up, the heart will start spinning. 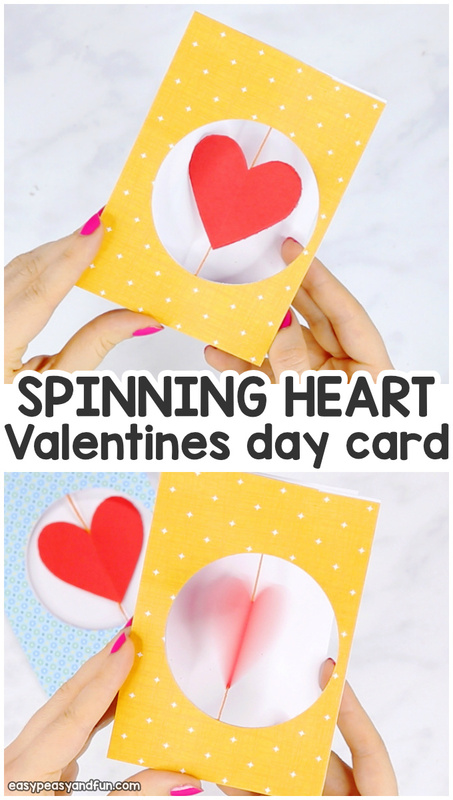 All there is left to do is to give this Spinning Heart Valentines Day Card to someone deserving :).